Stylishly renovated with neutral tones and quality finishes, this engaging 4 bedroom 2 bathroom Queen Anne Edwardian has the flexibility to meet your needs. Beautifully proportioned, this exquisite home has a central hallway that provides symmetry within the home, a superb master bedroom (WIR & designer ensuite with double walk in shower) , 2 generous bedrooms (fitted BIR & OFPs), 4th bedroom/ study (OFP), inviting sitting room (OFP), luxury bathroom, large fitted laundry and a fabulous open plan entertaining area with stunning reconstituted stone kitchen featuring Italian stainless steel appliances. Sympathetic to its original high ceilings, OFPs and polished boards, this contemporary restoration features ducted heating, quality blinds and plantation shutters, paved entertaining in the tranquil leafy garden, large shed,carport and secure parking ( for 3 cars) behind a sliding gate. 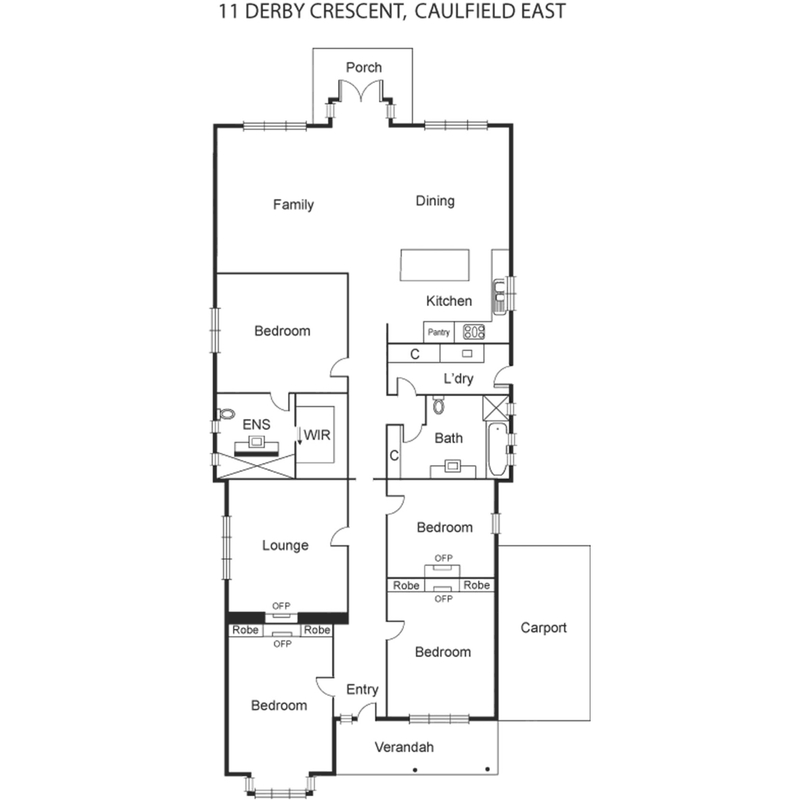 An easy walk to Caulfield Station, Plaza, schools, Monash Uni, Caulfield Racecourse and parklands.